You have to ask yourself eventually, after catching only nonnative warm-water fish in the Los Angeles River, if all the talk about the return of native Southern California Steelhead lies somewhere between academic debate and actual pipe dream. After all, after decades of decline, this ocean-going rainbow trout is now on the endangered species list. Looking down mile after long concrete mile of river bed, it seem nearly impossible to return one steelhead to the river, let alone a healthy population. And you would be correct in your skepticism, yet very short on your optimism, for we live in an area that once robustly supported this unique member of the Oncorhynchus mykiss family. And optimism — measured, reasoned, for sure, but optimism none the less — was on full display at the Steelhead Science for Anglers event Saturday at the Aquarium of the Pacific in Long Beach.Trout Unlimited, California Trout and Wild Steelheaders United created this must-attend free event, which would have seemed more likely in Seattle, or at least Northern California, than in Long Beach. 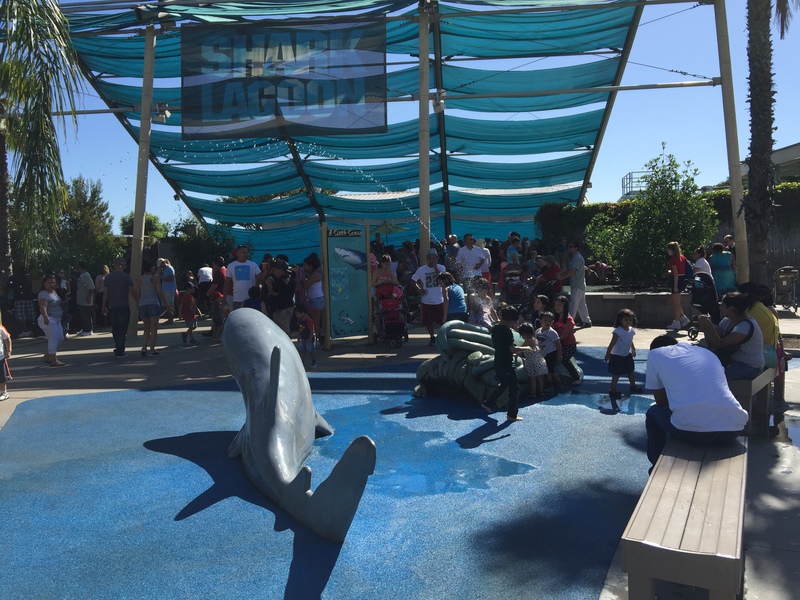 Yet, here it was, and passing by the aquarium’s steelhead exhibit, full of young O. mykiss, to enter the large classroom for the four-hour event, there was an optimism evident. Biologists, researchers and fisherfolk varied and mixed their presentations, making it engaging to scientist and angler alike. Both Trout Unlimited’s Drew Irby, and well-known local angler Kesley Gallagher weighed in on how to release big fish, as steelhead can weigh more than 25 pounds and grow to 45 inches in length. “Keep the fish in the water, gills wet,” said Gallagher, which may seem like simple advice, but a quick perusal of this blog alone shows that most anglers get carried away by their “grip ‘n’ grin” photos. Anglers should avoid “tailing,” as well as grabbing the fish with grip gloves, or injuring its slime covering with a mesh net. TU’s John McMillan cited steelhead research linking time out of water to reduced spawning capacity in Atlantic salmon. “Two minutes out of the water kills them,” he said. Mark Capelli, National Oceanic and Atmospheric Administration (NOAA) South Central California Recovery Coordinator, reminded an audience of about 50, that before World War II catching steelhead was a winter industry. During the winter months these hearty fish return from the ocean to spawn, no easy feat. The fish literally have to surf on storm surges to gain access to their ancestral rivers and creeks, only to have to swim through a inch or two of water as conditions dry out moving upstream. His slides, remarkable for those of us used to an entirely different era, one of depletion, underscored the vibrancy in this unique fish to our area. “Unfortunately, the area memory of steelhead disappeared,” he said. 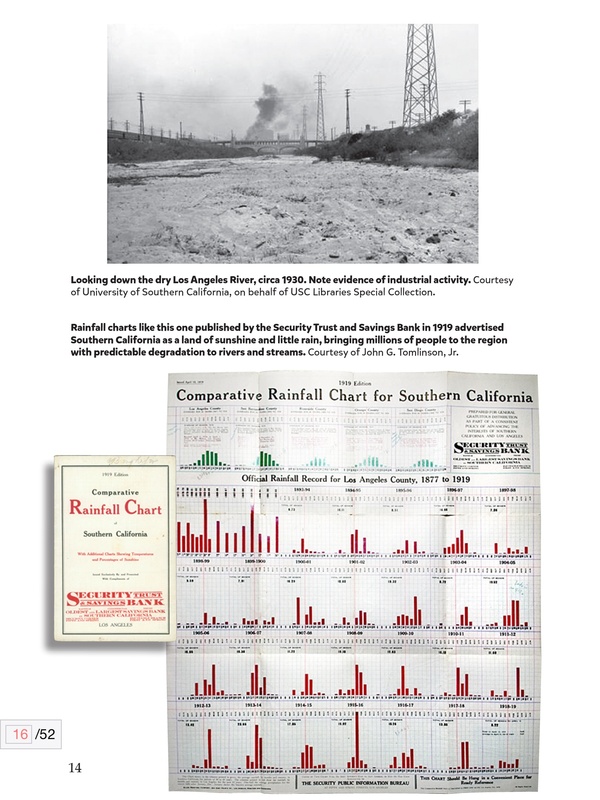 From 1948 through 1953, the needs of a rapidly increasing population decimated area runs that, according to newspaper accounts in the Los Angeles Times and other publications, ran into the thousands during rainy years. Dams, a prime example being the Devil’s Gate Dam in Pasadena that cuts off the Los Angeles River from its upper headwaters, spelled a near-death knell that would have probably killed off many species — but not this one. Viewed as an “indicator species” by the Environmental Protection Agency because its health is linked to its surrounding environment, steelhead thrive in both clean, colder fresh and salt water, and require unfettered access to return from its ocean sojourns to its spawning grounds inland. 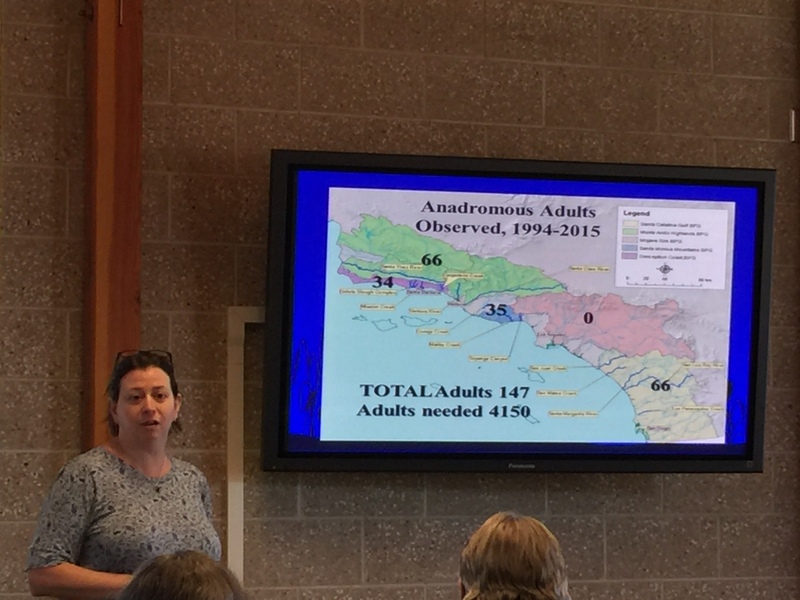 As Sabrina Drill, the Natural Resources Advisor for UC Cooperative Extension in Los Angeles and Ventura counties, reminded the audience, between 1994 and today 147 adults steelhead were observed and recorded. Yet only a year after the clean up and restoration of the Malibu Lagoon, a steelhead was spotted in May. “If you open the door, fish will come,” said Dana McCanne, part of whose job with the California Dept. of Fish and Wildlife is convincing landowners to give steelhead unfettered passage across private property. He recounted how Santa Barbara has successfully removed barriers to fish passage on Mission Creek. And by the end of summer, all of the barriers on Carpinteria Creek will have been removed, opening passage to headwater habitat. Indeed the NOAA recover plan focuses on “more pristine watersheds” in its five regions in Southern California, home to some 22 million souls. Although its timeline — 75-100 years — is steep according to human standards, in geologic time, it’s barely a heartbeat. Armed with $30 million in restoration money, and piggybacking on the national debate over the right architect for the L.A. River, a lot could happen. Want the latest word on steelhead? Trout Unlimited’s Wild Steelhead Initiative is partnering with California Trout to offer a workshop on native steelhead trout in southern California this September. Check out this afternoon of education and fellowship as leading steelhead scientists provide updates and answer questions about steelhead populations, recovery activities, and angling considerations in southern California. The panel of steelhead experts represents some of the world’s foremost authorities on steelhead biology and management – and some are avid steelhead anglers, too. They will help workshop participants to better understand how steelhead science is helping to protect wild populations, identify priority restoration objectives, and engage the angling community to help enhance and sustain steelhead fisheries. Cost: FREE **Free admission is on the honor system. If you are only attending the event, please tell the entry staff that you are here for the steelhead science workshop. If you plan to come early or stay after the event to enjoy the Aquarium, please purchase an admission ticket. 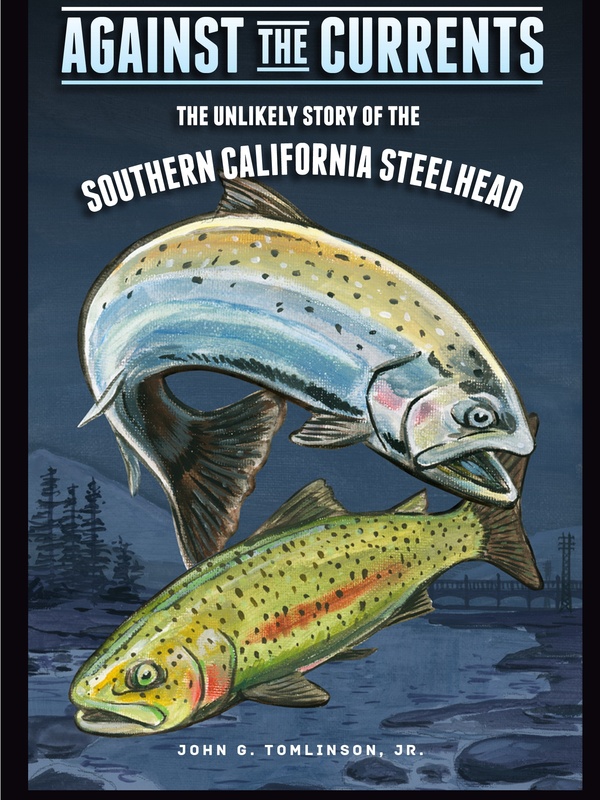 “Against the Current, The Unlikely Story of the Southern California Steelhead” could not, in truth, be a more unlikely tale. Author John G. Tomlinson Jr. takes the reader on an environmental roller coaster ride that matches our region’s boom-or-bust water supply, and throws in plenty of human Greek drama. When Congress approves the billion bucks for a river makeover early next year, I hope every politician, every engineer and every investor gets a copy of this book. They should look up the section on one Henry O’Melveny, lawyer, fishing advocate, Creel Club founder, ice plant owner and, sadly, leader of the pack that done the natural inhabitants of our erratic rivers and streams in. Indeed, he is a figure as defining of Greek tragedy as Oedipus or Agamemnon. Fast forward to today, and a mayor who is bringing in major bucks from Washington for the river as well as public transportation. I hope that Eric Garcetti reads this slim volume. It is the most compelling work to date on why the natural habitat can’t take a backseat to our own urban comfort zone. That story already happened.